Known as the “toothache tree,” its bark and berries are used in traditional medicine. Its crushed leaves and fruits are very aromatic, smelling like lemon peels. 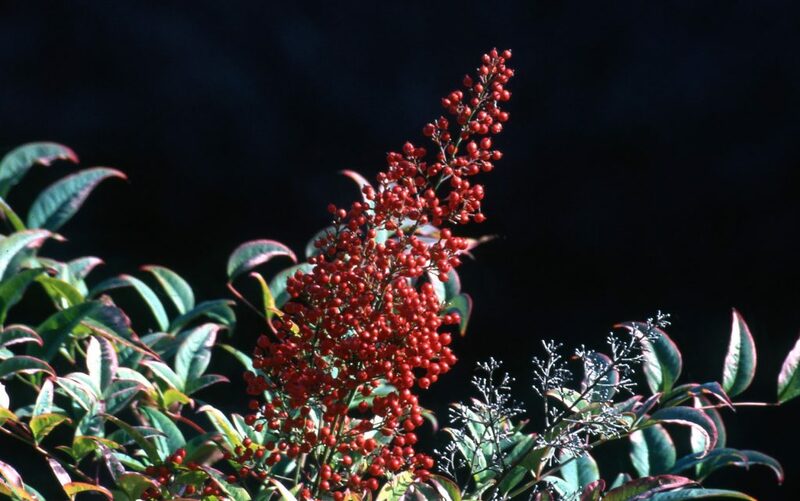 It’s also known as prickly ash for its thorns and ash-like leaf placement. In the citrus family (Rutaceae). Native to eastern U.S and Canada. Find it at the top of the ramp leading to the parking lot. Find it in our database. 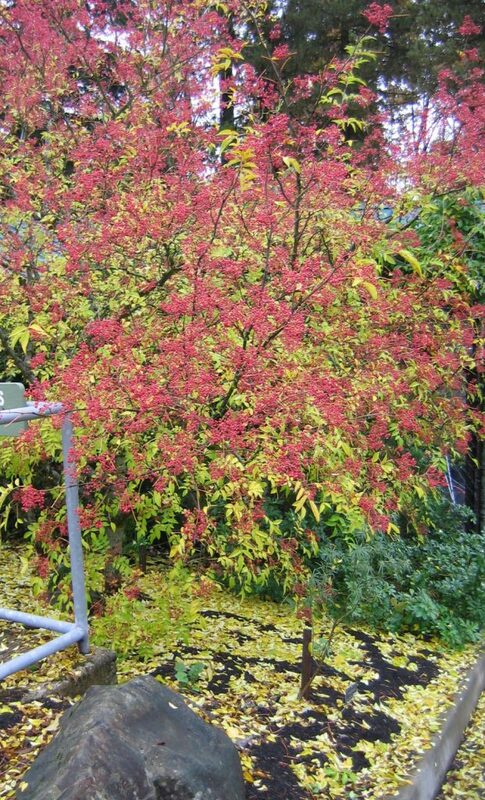 Heavenly Bamboo adds great interest to our winter garden display. Its leaves are coppery in spring, green in summer, and purplish in fall. 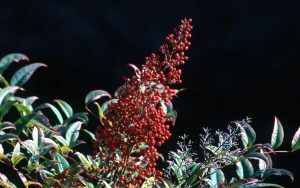 Following small bursts of white flowers, heavy sprays of red berries form, remaining until spring. Also known as Paperbark cherry, this unique tree has a deep and glossy mahogany-red bark. When young, the bark’s lenticels (light-colored horizontal “gas exchange” lines) are clearly visible; when older, the bark peels like a birch tree. 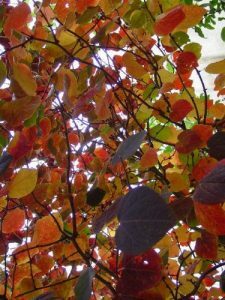 “Serrula” in the name means saw-toothed, referring to the leaves’ edges. Find it south of the Visitor Center along the Wildwood Trail after the water tower and before the Wildwood Trail crosses the Hawthorn Trail. Another late-season blooming plant! Disanthus cercidifolius is a slender-branched, deciduous shrub with round blue-green foliage that turns a variety of colors in the fall. It has very small, dark-purple flowers that are slightly aromatic; they precede small seed capsules that ripen in fall the year after flowering.